Today’s guest is Scott Maynard (Fuyuko’s Fables, Pales) who is in a new band signed to Ball of Wax Records called Zero Cool. My name’s Scott Maynard – I’ve been playing in bands in Wellington for the last 10 years. I grew up in Gisborne playing in punk and metal bands with my brothers and friends but since moving to Wellington I’ve played mostly in jazz, folk, and rock ish scenes. The main projects I’ve been writing for over the years have been Fuyuko’s Fables, Pales, and currently Zero Cool. Right now I’m also playing in Black Spider Stomp, Seamouse, and Blaek. Lately I’ve been working on the release of a 7 track album for Zero Cool – It’s a 3 piece indie-rock thing with my brother Matt and friend Symon. The album has taken about a year to get the whole thing together (kind of slow going as I’ve had zero budget). It has just been released actually! I’m definitely keen to do a follow up album for zero cool. We have a few songs that were written after I started recording that I’d like to get down. Everything is available online on Bandcamp. 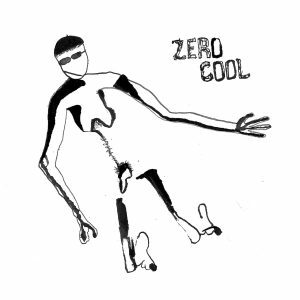 Zero cool is also on iTunes and Spotify. Facebook is probably the easiest way to check out what we’re up to – we post articles, releases, and upcoming shows up there. I also keep a Soundcloud account that has all my music from different bands on it. Hmmm. I always find it difficult to do rankings and know what has influenced me. 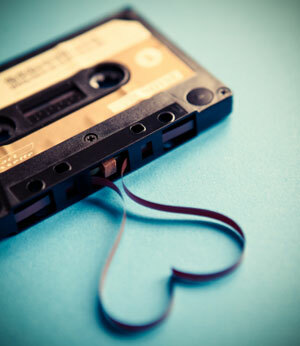 Some of my earliest memories of listening to music were of Louis Armstrong, Edith Piaf, and Bob Dylan on my parents’ cassettes. I’d say more of my more influential musical experiences have come in my adult life or not from albums. Studying with some amazing people – Alison Barclay, Roger Sellers, Dan Ryland. Seeing local an international bands live – Seth Frightening, Meth Drinker, Groeni, Grizzly Bear, Ornette Coleman! I think live music and personal interacts have more of an impact on me. Sorry – a bit of a cop out answer. There’s so many! I’m lucky to already work with some of my favorite musicians. There’s too many talented people to list and I’m definitely holding back so I don’t look too creepy. Anywhere you can get a decent soundcheck! That’s the difference between feeling happy or bummed with your set for me. It’s pretty slim pickings at the moment for venues for original/alternative music, but the main ones (Meow, Caroline, San Fran, Moon) are all good! I really enjoy playing smaller but full spaces though, private venues and house shows are my fave. 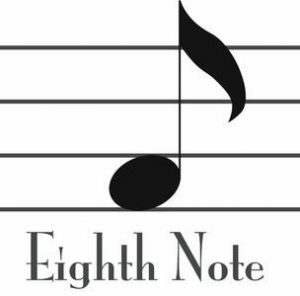 In your songwriting or composing (or the bands songwriting) how do the compositions and songs take shape? Usually I’ll start with one basic idea – A melody or a guitar/bass riff/chord sequence, and as that idea develops there’s normally a few alternative ways to approach that idea so you can use that to flesh out the rest of the song. I try not to ram in to many ideas when writing to give each piece its own flavour. I also like to really let the melody guide the song’s direction. With lyrics, I just go with whatever theme the music leads me towards and try to stick with that. I figure if nothing else it’s sincere. With Zero Cool there has definitely been an deliberate simplifying of parts to keep it raw and give the music a bad attitude. Zero Cool are playing our album release show this Saturday, 11th Nov at Caroline with Heavy Chest, and Bad Friend. We’ll be in Christchurch Saturday the 25th of November at Darkroom with Wurld Series, and Brian Tamaki and the Cool Aid Kids. Aaaaand Auckland at Whammy’s Backroom on Friday the 1st of December with Milk, and Hagseed. We’re also doing a day time house show on the 9th of December as part of a showcase for our record label Ball Of Wax.